Located off the northern coastline of mainland Scotland, the Orkney Islands, an archipelago of near 70 islands (17 inhabited), cover an area of 975 sq km. 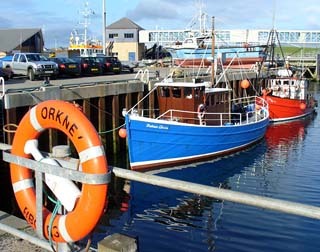 The population is estimated at near 20,000, with the vast percentage of them living on Mainland (the largest island), in the towns of Kirkwall and Sromness. Along with the Shetland Islands, the Orkney Islands were settled by Norwegiansduring the late 8th and early 9th centuries. First served as the headquarters for Viking expeditions, the islands were later annexed in 875 by the Norwegian king. The Orkney Islands were handed over to Scotland in 1468 after King Christian I of Norway failed to come up with a suitable dowry payment for his daughter. Following this shift of power Scottish entrepreneurs aided in developing a community of farmers, fisherman and merchants. During World War's I and II the Orkney islands were the site of a Royal Navy base at Scapa Flow, which played a large role in preventing German warships from entering the Norwegian Sea. 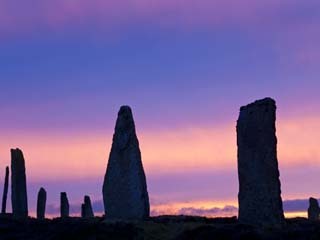 Famed for their isolated beaches, beautiful scenery, prehistoric monuments, Stone Age villages, and a warm Scottish welcome, the Orkney Islands offer a fascinating and idyllic vacation destination.